This year UMASH has focused efforts on addressing the stressful climate of agriculture and the challenges that can result including anxiety, depression and an overall negative outlook. This issue has connected us to numerous people and organizations who share our concern for the health and well being of farmers, farm families and workers. Monica Kramer McConkey is one such person and she offers a unique perspective on controlling negative thoughts just as we need to control weeds in the field. Read on to learn more about the similarities she draws between the two. The war on weeds. Recurring. Damaging. Relentless. At the moment you think you are gaining the upper hand with an effective herbicide or tilling strategy, a new more invasive harmful variety appears. Let’s draw the comparison to our thinking. In this time of difficult commodity prices, weather challenges, and a whole host of other issues outside of our control, it is critical that we manage our thinking. Our thoughts affect our feelings and thus our behaviors. Negative thoughts, like weeds, if left uncontrolled will take over and choke out all that is good. It is easy to get stuck in negative thinking patterns…as easy as growing a crop of weeds. Fixating on matters outside of our control is not helpful. Equally as damaging are preoccupying thoughts around losing the farm, inability to make payments, and self-deprecating messages of being a failure. These thoughts often become intrusive and impossible to “shut off”. Negative thoughts, like weeds, if left uncontrolled will take over and choke out all that is good. We control them much like we control weeds. It is not a once-and-done scenario. Changing our thinking is a way of life that must be practiced daily. When negative thoughts bog us down, our emotions take over thus disabling our ability to plan and solve problems. This does not mean we go through life with rose colored glasses, refusing to deal with the reality of our situation. However it does mean we look at the tasks in front of us, tasks that are within our control, through a lens of setting goals and solving problems versus reacting out of emotion. Thought stopping is as challenging as keeping our fields weed free. Identifying negative thoughts as soon as they sprout and refusing to allow them to reach maturity and “seed out” is the goal. As soon as we become aware of a thought that is not helpful, an immediate attempt needs to be made to shift our attention. During long hours in the tractor…and the long winter days ahead…this is challenging. Occasionally, negative thoughts become intrusive to the point they may cause anxiety or panic attacks. Those experiencing anxiety and panic may feel they cannot keep negative thoughts out of their mind. They may be unable to sleep or feel like sleeping all the time, experience increased heart rate, lack of motivation, lack of ability to concentrate, and changes in eating patterns to name just a few symptoms. 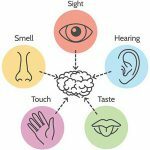 An immediate response when a feeling of panic or anxiety is starting is to focus on the 5 senses. What are you seeing? What are you hearing? What is the taste in your mouth? What are the textures around you that you can touch? What smells are apparent to you? Several minutes of focusing on our senses forces us to get “out of our mind” and away from our thoughts to a place that is more grounded. If problems of intrusive thoughts, anxiety or panic attacks persist, or if you are having any thoughts of suicide, it is critical to seek medical or psychiatric help immediately. Doctors, therapists, hospital emergency departments, mobile mental health crisis teams, faith community leaders, and county social service and Extension staff have resources available to help you. If you feel you aren’t getting the help you need, don’t stop! 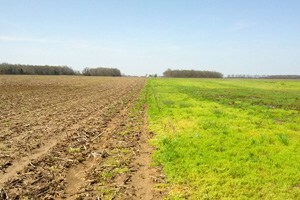 Be persistent in the same way you continue the battle to keep your fields weed free. 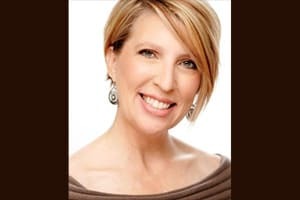 Monica Kramer McConkey, LPC has more than 20 years of experience in the behavioral health field as a child and adolescent counselor, program supervisor and administrator. Monica grew up on a farm and has an intimate understanding of the dynamics leading to farm stress and its impact on farm families.